This beautiful dining chair was created by Japanese designer Yuzuru Yamakawa in the 1960's and is the perfect example of the longevity of great design. The back of the chair is slightly winged to create a stunning silhouette as well as for comfort. The legs are black powder coated metal with a pleasing shape that perfectly compliments the rest of the chair. 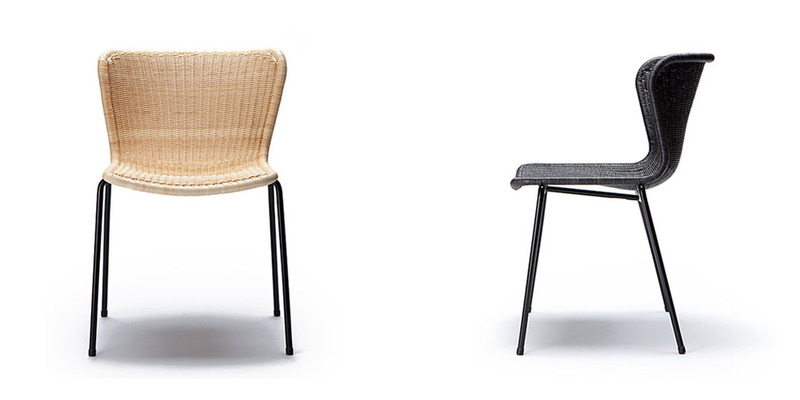 The seat is constructed from rattan and is available in three different colors being natural, pulut and charcoal. We think this design looks great with our Southside black metal leg table and the Zeally Bay dining table.